When you think about StepMania, you’re more likely to imagine the more traditional DDR simulator where a stream of arrows fly towards a set of targets. AGDQ (Awesome Games Done Quick) was able to breathe life back into the game with the StepMania Showcase piloted by Staiain who wowed the audience with his high level play. The showcase was so well received that it even got a standing ovation and brought back so much interest in StepMania again that it slammed StepMania.com’s servers. 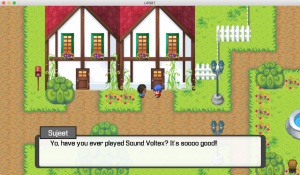 What Dan “dbk2” Guzek is about to show you is how StepMania can be used for so much more than simply hitting arrows. 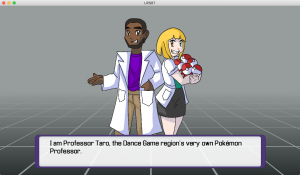 Along with the collaborative efforts of Caitlin “HUGS” Schaeppi and Alan “TaroNuke” James, they were able to transform StepMania into a Pokémon themed role playing game called UPSRT. UPSRT was presented as a side event after the U.P.S. StepMania 5 tournament at University Park Penn State on Sunday January 17th, 2016, where the theme was about playing step-files with cool visual effects that were only made possible with StepMania 5. 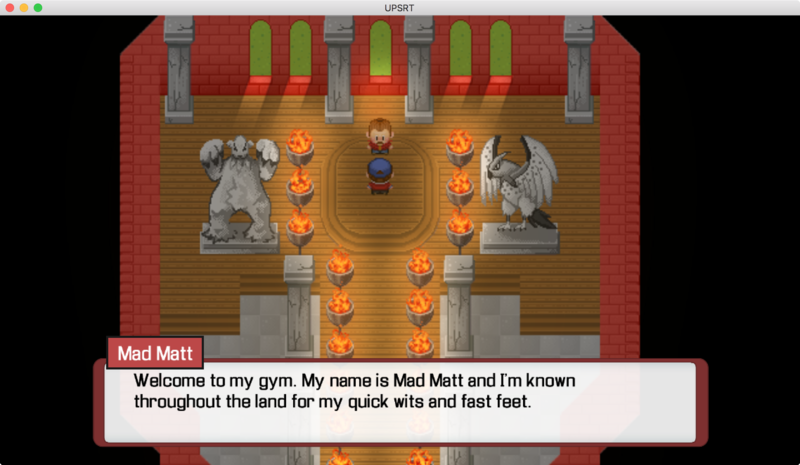 UPSRT is a lighthearted game with a whole world to explore and even has a few community members inserted into the game as NPCs or sometimes gym leaders. Two friends and I spent the month of January putting together UPSRT, a Pokémon + dance game adventure for StepMania 5. Gameplay is a bit brief, but it’s an excellent demo of what is possible in StepMania 5 with enough dedication and reckless spending of time. 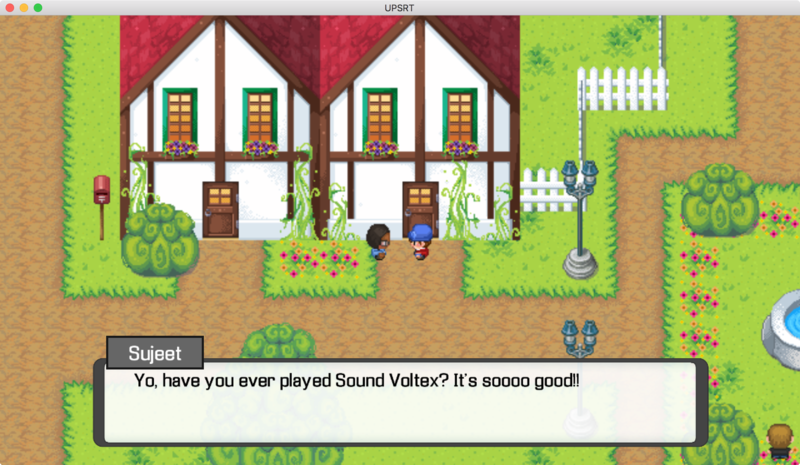 The entire effort (Lua engine, pixel art, non-pixel art, original soundtrack, mod-scripting) was completed in a little less than a month. Take a peek at some of the screenshots of UPSRT in the slideshow below. View the full UPSRT album on Imgur. 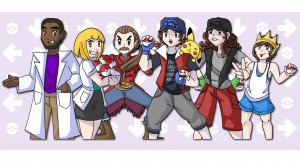 Watch a demonstration of the original event on a full size arcade cabinet in the view below to see it all in action. 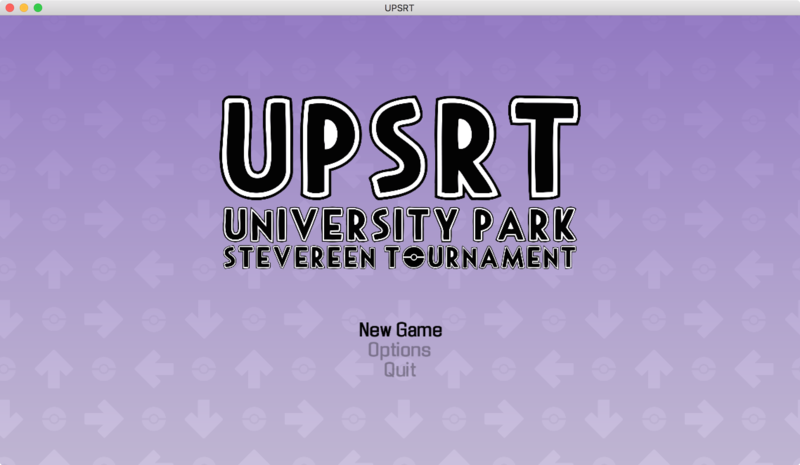 UPSRT was inspired by the “Galactic Gladiators” side event made for ITGAlex at the UIUC Fall Fantastics 2015 tournament. Check out the intro here and browse through WinDEU’s YouTube channel for more videos of the Galactic Gladiators event. 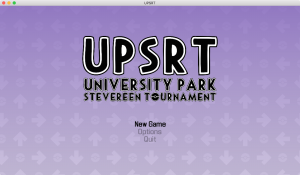 To find more detailed info about UPSRT like how to download and it up on your copy of StepMania, including the OST and the GitHub repo, check out the links below.